The science behind Chem-Dry’s patented carpet cleaning products and our services equipment is one of the biggest factors setting us apart from the competition as no other carpet and upholstery cleaning company approaches cleaning quite like we do. 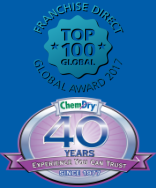 Almost every aspect of the Chem-Dry process is based on decades of scientific research and over the past 40 years Chem-Dry has led the carpet cleaning industry with its cutting edge products and highly effective, environmentally friendly cleaning processes. Chem-Dry’s Hot Carbonating Extraction process relies on simple yet efficient chemistry to emulsify dirt and debris for safer, more effective removal while our propriety carpet cleaning solution The Natural® is safe, non-toxic and poses no risk of damage to the environment, people or animals. In contrast to traditional steam cleaning methods, Chem-Dry uses very little water – a good selling point as South Africa edges closer and closer to a situation of permanent water scarcity – which also results in faster drying times, leaving households inconvenienced for only the minimal portion of the day. 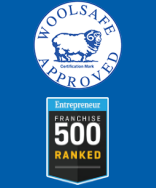 The tradition of innovation and development within Chem-Dry remains today as the company continually strives to improve production, processes and services, helping our franchisees to stay ahead of the pack and on the leading edge of the carpet cleaning industry. 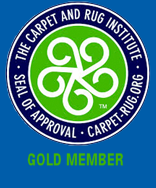 Carpeting a house usually means a significant investment from the home owner who then naturally has a vested interest in keeping their carpets clean. Chem-Dry’s Hot Carbonated Extraction process can be used on almost any type of carpet fibre and poses almost no risk of discolouration or bleaching. Carpets are left cleaner, healthier and brighter and homes smelling fresh and new again. When having carpets cleaned, many clients opt to clean their upholstery too. This can be done in conjunction with carpet cleaning which is convenient for customers and adds to the fresher, cleaner impression of a house. Chem-Dry’s upholstery cleaning removes all signs of grubby fingerprints and most superficial stains. Convenience is one of the biggest factors for clients when having a professional cleaning company such as Chem-Dry service their home. Chem-Dry’s state-of-the-art equipment allows us to clean curtains where they hang, and removes all the dust and other debris that float around in every household, no matter how clean they are kept. Help your clients to restore and beautify their treasured possessions with Chem-Dry’s Bespoke Rug Cleaning service that is also suitable for use on Oriental and Persian rugs, turning a costly dust gatherer into a pleasure to behold again. Chem-Dry’s Leather Cleaning and Care Products are endorsed by over 300 tanneries and manufactures throughout South Africa and assist in maintaining leather for up to five times longer, while simultaneously preventing undue wear and tear on leather and vinyl upholstered items. Stubborn stains need professional cleaning products and cleaning technicians who know their wine spill from ink mark. Step in Chem-Dry with our range of expert Stain Removal Solutions. Once carpets and upholstery have been given a good clean everyone naturally wants to keep them looking bright and polished for as long as possible. Once again Chem-Dry steps up with a range of Carpet and Upholstery Protection services. These can be applied post-clean as an optional extra and underscore Chem-Dry’s commitment to a longer lasting clean. Many clients will approach you to clean their carpets or upholstery without knowing their exact needs, which is where Chem-Dry’s Bespoke Carpet and Upholstery Maintenance Programme comes in. After training you will be able to analyse your customer’s requirements and deliver a comprehensive plan to keep their carpets and fabrics looking pristine by identifying heavy, moderate and light traffic areas and developing a maintenance programme that provides a healthier indoor environment and a cleaner place to live and work. 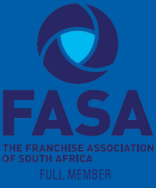 Copyright Chem-Dry Southern Africa | All Franchises are Independently Owned & Operated.